I spent the end of last week going back and forth between St. Petersburg and Sarasota, Florida, with my daughter Ginny and grandson Picco. I got to see Picco's dorm room and listened to the freshman orientation. The Ringling College of Art and Design is an interesting and wonderful school, and Picco is enchanted with it. He was very much looking forward to starting classes Monday morning, and Ginny has reported that he hasn't even had time to return her text messages! Picco and me in his dorm room. Ginny had to stop for boiled peanuts in Georgia on our way back to Virginia. She absolutely loves them! 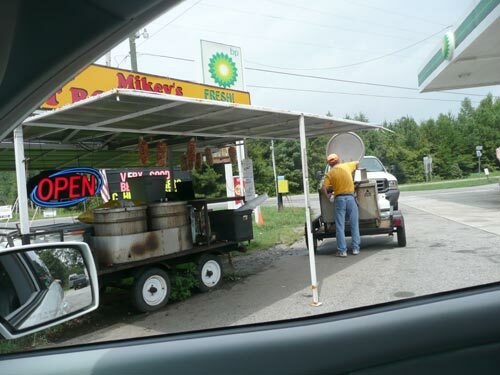 My treat was fried pork rinds-sinfully good! This weekend I'll be in Russell, Kentucky, with my friends at Designer Art & Framing. 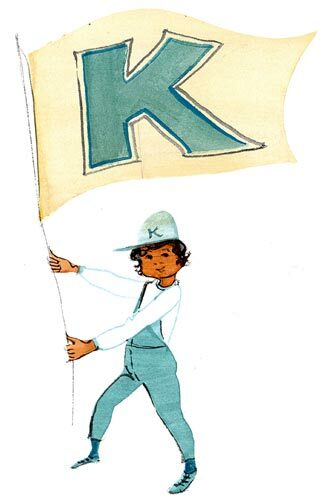 I've created several special new images for the show, which will be released as giclées on paper. For more information on the August 27-28 show and the prints, please contact Jill and Marcinda at the gallery at 606-833-2962. 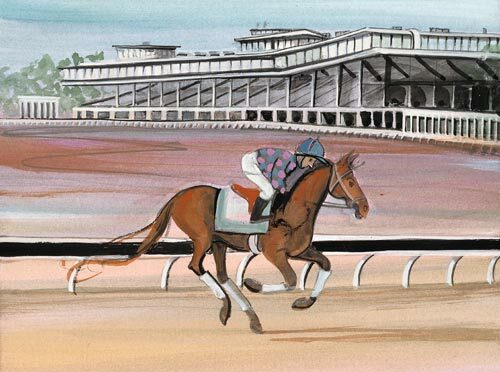 Kentucky Favorites features Rupp Arena, Keeneland Race Track, and Commonwealth Stadium. 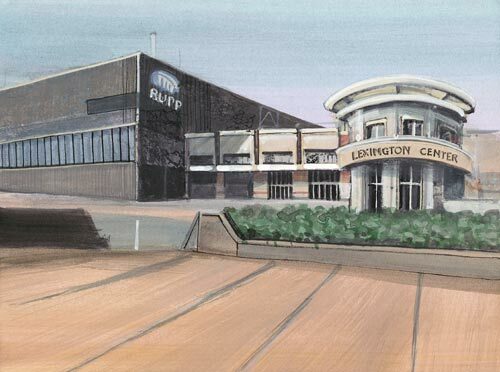 Home of Champions features Rupp Arena, where the University of Kentucky Wildcats hold their basketball games. 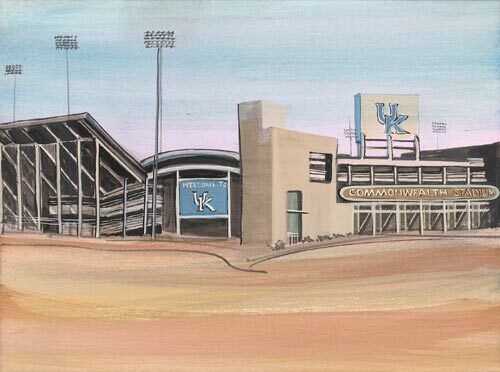 Pride of the Commonwealth features Commonwealth Stadium, where the Wildcats hold their football games. 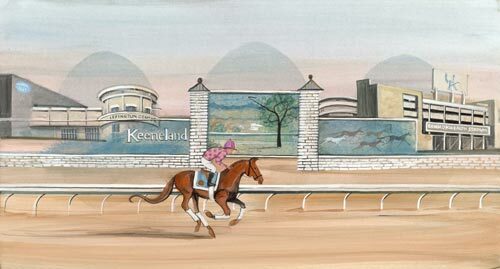 Win, Place, Show features Keeneland Race Track in Lexington, Ky. Forever Blue speaks for itself.